As a prelude to our upcoming review of The Swindle, I spoke to Size Five Games BAFTA award winning developer and founder Dan Marshall to talk inspirations, future plans and general guff. Dan Marshall – I Think? TVGB: Just as a general introduction, can you tell me a little about yourself, Size Five Games and the team behind The Swindle? Dan Marshall: Technically speaking, Size Five is just me, living in the middle of a field bashing out games on a keyboard. In reality though, I’m not that talented so rope in a load of brilliant people to help me out. 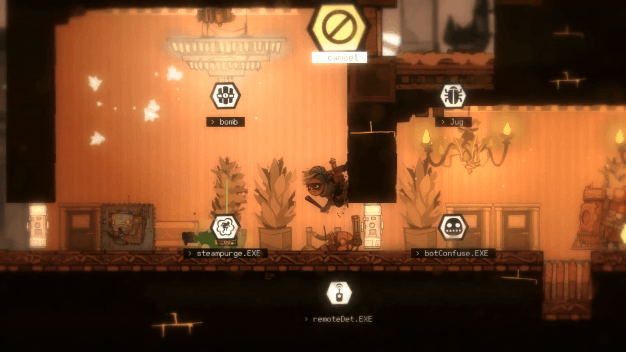 The core team on The Swindle has been me, handling code and design, Michael Firman, who is this exceptionally-talented artist I lucked upon, and Tobey Evans, who handled the soundtrack. As an independent developer, what do you think of the current state of the indie scene in the UK? Is it an exciting (or terrifying!) time to be creating and working in the field? It’s kind of terrifying. When I first started making games, it was hard to be ‘heard’ because people didn’t really care about indie games , it was a totally niche thing. Nowadays, the market’s so swamped with high-quality titles it still hard to be heard, but this time over the top of all that noise. Same problem, different decade. It’s weird to think how far things have come, and the UK indie scene continues to thrive regardless. It’s a great little community of like-minded idiots who’ll do what they can to help each other out – whether that’s sharing code, or artists or whatever! What are the main inspirations behind The Swindle? I’m seeing a lot of Steampunk-tropes obviously but what else inspired the world/setting, music and the game itself? The game’s technically Steampunk, but it has all these Cyberpunky themes of hacking, oppression, body modification and AI singularities, which started to push it in a really unique direction. Quite a lot of that is the music – when I first started to talk to Tobey about the soundtrack I stressed how I didn’t want something pure Victoriana, pure Steampunk, that the game needed this tech edge to it. And he massively delivered, the game has this really cool, unique sound to it and it really enhances the mood of the Universe. 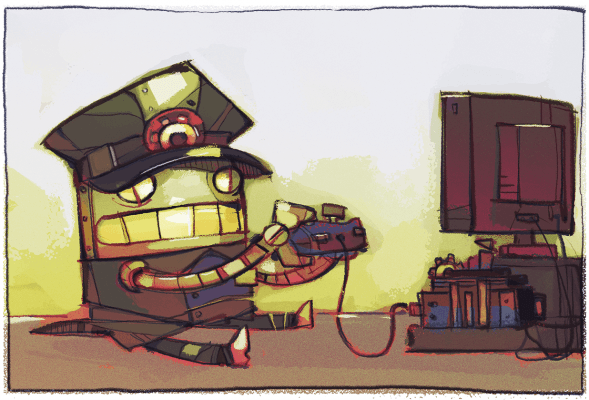 The game’s core inspiration was from how much I love a virtual bank account in games. I love watching it tick up, and spending it on nice things. That was the first idea, having that economy where there are desirable items and a rising bank account to keep an eye on. On the soundtrack – will you be looking to sell it separately and if so WHEN CAN I BUY IT? Tobey’s working on something really special for the soundtrack, it’s not just the game music but stuff that kind of hints at the game’s wider world. I’m not 100% sure when it’s out, but it’ll be around or just after launch, I expect. My favorite thing isn’t really quantifiable, but it’s that gut-wrenching feeling when you’ve died with a load of money and you know if was your own stupid idiot fault and that you should have quit while you were ahead. It’s always beautiful, and causes this horrible squirmy feeling in your tummy. I don’t think there’s anything I’d change. If there was, I’d have done it, I certainly haven’t rushed the game out. I’d certainly like to give my past self a clip round the ear for some of the game’s tech – I over-worried about optimizing it too early on, and as a result have had to spend a lot of time coding around that one idiot mistake. But there you go, live and learn. I know it’s premature but what’s next? Do you have ideas on the go or projects you’re thinking about? I’ve got a few things I’ll be looking into, seeing what works. Certainly nothing I’m confident enough in yet to go announcing. 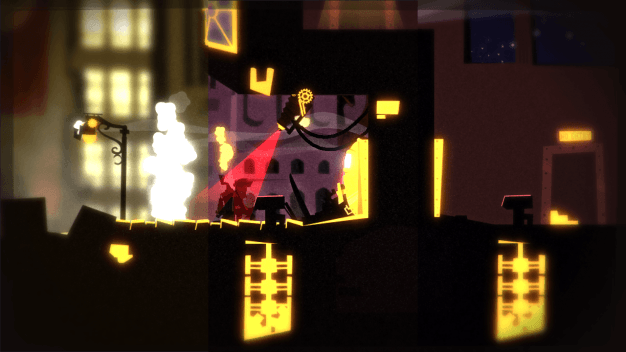 But The Swindle has taken a LONG time (I started work on it in 2010, I think) so the most important thing is a long hot summer just promoting it, making sure it works nicely, and watching people enjoy it. Last but not least – When can we expect the Ben There, Dan That! and Time Gentlemen, Please! HD Ultimate Remaster Edition with additional procedurally-generated pub crawler DLC ? 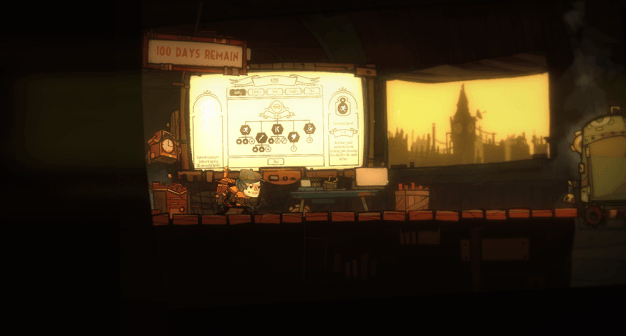 You can catch our review of The Swindle early next week and minor spoiler alert, it’s gonna be a good one. Cheers to Dan and his team for speaking to us and keep watching this space for more news, reviews and interviews.